Imagine this scenario: You come home from work on a sweltering August day, only to discover that your air conditioning system has gone on the fritz — again! You realize that the time has finally come for an upgrade, but who should you call to handle the job? If you live in Harrisburg, PA, Shippensburg, PA, Chambersburg, PA, or other areas in the South Central PA region, make your first call to Carlisle-based Tuckey Mechanical Services, Inc. We have decades of experience in helping homeowners throughout the area stay cool all summer long. We’ll install a state-of-the-art air conditioning system that will enhance your home’s comfort level and reduce your monthly energy bills. These days, homeowners have numerous choices regarding their air conditioning systems. A central A/C system will typically provide the best results for whole-house cooling requirements — one unit will deliver chilled air through a ductwork system throughout the home. For spot-cooling, traditional air conditioning units work well for individual rooms or confined areas, although ductless air conditioners offer increased efficiency in these situations. Heat pumps provide yet another alternative, along with the additional benefit of serving as a source of heat during the winter. 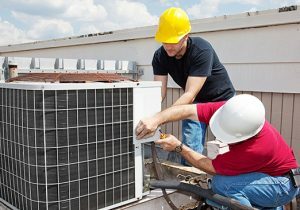 Our expert A/C technicians will conduct a comprehensive evaluation of your home to help you determine the best, most cost-effective cooling solution for your needs. 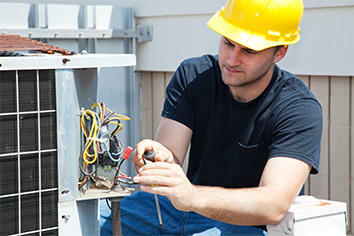 Once you’ve made your decision, we’ll also handle the entire air conditioning installation project for you. 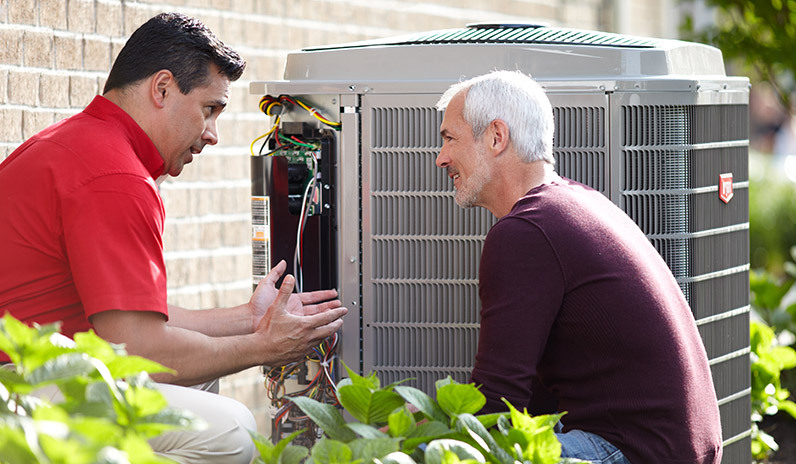 Our expert A/C technicians will conduct a comprehensive evaluation of your home to help you determine the best, most cost-effective cooling solution for your needs. Tuckey Mechanical Services specializes in the sale and installation of Bryant air conditioning systems. Founded in 1904, Bryant continues to set the standard for quality, reliability and efficiency in home comfort equipment. We offer an assortment of the most advanced Bryant central air units that seamlessly combine high-efficiency home cooling capabilities with economical performance and value. You’ll also find a selection of home heat pumps that deliver the highest SEER and Energy Star ratings. You never know when your home’s air conditioning system will break down, but it often happens during peak demand periods — the hottest times of the year. Tuckey Mechanical Services is available to respond quickly to your air conditioning repair needs in Harrisburg, PA, Shippensburg, PA, Chambersburg, PA, and the surrounding areas — we even offer 24/7 emergency service. We work with Bryant systems as well as units from other leading manufacturers. You don’t have to try to get through another blazing-hot South Central PA summer with an underperforming air conditioning system. Contact the A/C pros at Tuckey Mechanical Services for a free estimate today.